Toybank in collaboration with ISS (Institute of Social Service) launched 5 libraries in different schools in Raigad district in the month of August and September. It’s a proud moment for us to have launched toy libraries in rural areas, as the kids there have very less access to toys. We were able to spread smile on 220 kids through the distribution event, the children who were part of this distribution event belong to the Katkari tribe of Raigad. They are part of the supplementary classes provided by ISS which aims at increasing the attendance level of children in the school. 1. Dhankhane, Primary Zilla Parishad School. 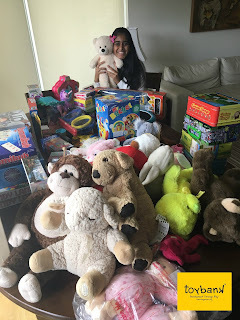 We covered in all 150 kids in the 5 toy libraries and children were given indoor games like puzzles, board games and outdoor games like badminton rackets and skipping ropes. 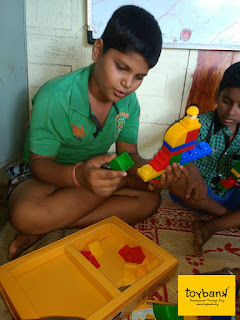 Once they got their hands on the toys they were engrossed in playing with them. We plan to set up more toy libraries for these tribal children in collaboration with Institute of Social Service.